I know there was a discussion about this probably a few months back. The general feeling about selling to minors is it's touch business. The biggest issue had been sales contracts because minors can't legally be held to a contract. However has anyone sold to minors and had it work out well? I think it would be ok if the PARENTS signed the contract, and you actually TALKED to the parents. If the minor was someone you trusted/liked and the parents were on board I would. I have had pets all my life and I could have easily cared for a glider when I was a teen. Some teenagers no way! Some are clearly ready, esp. if they have their parents fully understanding gliders and willing to step in if the minor doesn't do what they are supposed to. I don't sell to minors. I adopt our gliders to their parents on occasion. The parents must talk directly to me. If it's the kid talking to me all the time I won't go into contract. Parents are ultimately the responsible party so they sign the contract and take on the responsibilities of owning my gliders. Do the kids take care of the gliders? In 3 cases with my adoptions, yes. I have three families who have adopted gliders and the kids do the lion's share of the work with them. I have other families where the parents are the ones who actually wanted the gliders. The kids enjoy them, but the parents are their true owners. No sale with me is ever with a minor. I have to have all the discussions with the parent(s). The adult is who the sale is with. I make sure the parent is 100% willing to be the responsible party, they need to realize that even if the glider is for their teenager, it belongs to THEM and is THEIR responsibility. With that being said, if the teenager is the one that is "getting the glider" I go over everything with them as well. I have one young lady who has proven to be a good glider owner. However, never have I sold to "her". I have only sold to her dad, and he was just as eager to learn about them as she was. She is the owner of 3 different gliders from me, and has taken in a "rehome" from someone else. She does a great job with them. Well, I suppose I need to get my dad to talk with you! Looking forward to being owned by gliders. Oh, I was referring to Tracy's post. It only makes sense to make sure the parents are on board. How else can you be sure that the gliders will be well taken care of. 100% agree with everything you said! That is very true Cora. We just try our best to place our gliders with those we feel comfortable with. Of all the teenagers I know, and there's quite a few, there is ONE I would sell a glider too, and she says she isnt ready and wants to wait till she has a job and a car and doesnt have to rely on her parents. How's that for maturity? One problem with selling to a minor, if they dont drive, then how do they get to the vet if they have an emergency in the middle of the night? What if the parent has to work and doesnt want to go to the vet? A few of us have seen situations like that. I am not saying not to sell to minors. But there are factors involved with glider care that I feel MOST (NOT all) minors are not truly prepared for. Lol, I'm with you MissB I'm also a teenager that would love a glider. Ok, Jill. That is reasonable. I suppose I may be a bit ambitious... But I am one of those kids who really does do their research. I can attest to this JillMarie! I know of one situation where a minor had a glider emergency in the middle of the night and the parents refused to go to the vet for the glider. I had not sold to this person, but they did tell me about it many years later. It was very sad. When selling to families, I make sure the parents are aware of these possible issues. It is so important to make sure they are on board and willing to do what is in their glider's best interest. Perhaps I should wait until I have a car and can drive them on my own... My dad would be happy to take me, but I wouldn't want to press that responsibility on him. Last edited by MissB; 11/28/11 06:46 PM. 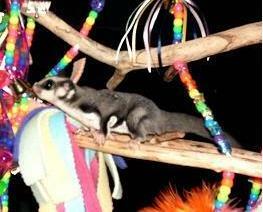 My first joeys that I sold went to a minor, I knew they were going to be 'his' gliders from the beginning. He did tons of research and came to visit their parents and then the joeys as they were growing up a lot for talking through things and helping prepare meals and such so he would know what to do. BUT, every single step of the way, every visit, his mom was right there with him. I knew she ultimately took responsibility for them and we all discussed that as long as I knew she was going to be involved and responsible for them, I was ok with it. He was very excited and as I said, read and researched a lot, said he would never give them up no matter what...but yep, his mom ended up with them (she even got two gliders of her own). But I knew they were always loved and taken care of, their entire life. I don't think there is anything wrong with the family saying 'these will be the child's' as long as it is clear for all involved that no matter what happens, the parents will take responsibility for getting them the care they need, the transportation, the money, and are ok with eventually caring for them if their kids do lose interest. I would never have sold to a minor who's parent was not very interested and involved themselves. We are at home alone with my ferrets. He is rolling on the ground, laughing and playing with our cherished weasels. I ask him if he loves them for real, and he says that he would take a bullet for them. Now a good friend comes over. I take the ferts out and he wants nothing to do with them. I talk about them, and he says they would look good skinned and on his neck... Ho hum. He's such a teddy bear, but around other people, he simply won't let his guard down. I'm afraid that when I go to see a breeder, that they won't beleive that he is involved because he is going to make everything seem like no big deal, when he is actually squealing with excitement inside... I'm stuck. I am a minor, but I don't sell to minors. I will sell to them with their parents, but I have to talk to their parents, make sure they know how to care for the gliders, and they have to sign the contract. That is what I had to do when I bought my gliders, and I think it is reasonable. Tsk tsk. Just goes to show how some men are. I can't blame my dad though. He was trained to be calm and collected, being a policeman and all... I just wish he would soften up around others. Oops, sorry Ashley! I keep pressuring my pa to do his homework. I made him a complete guide and everything! you are a breeder, Ashley? And yes, I'm a minor, but I can care for my gliders just as good as anybody else. No, no! I don't doubt you, I was simply being curious. It's in my nature. I've never met a breeder who was a minor like myself. Really?! I hope I can be one of the 2 out of 10. I'm not quite finished researching though. I will not even think about saling to a minor if there parents arent 100% on board.I believe everyone in the family should know about them,what if one gets out and there parents have no idea how to catch them or what kinda treat to offer to get them back in the cage.My kids are involved with my sigs and so is my hubby he works alot but he know what they can eat and he knows how to hold them. I have had like 10 yer old kids contact me asking about the gliders and i ask if i can talk to there mom and dad and usually there parent never calls back im sure they end up going to the pet store up here and getting one because that lady would sale to anyone. 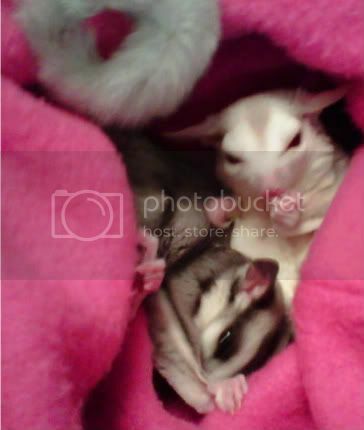 I have sold to some fmilys that the teens were the ones who got there parents involved and 5 out of 10 times the gliders end up being the parents pets after all because the teens get board with them,but that happens with alot of people who buy gliders.It really depends on the minor but the parent would deff be involved. I wouldn't do it, ever. I work in a pet store. We sell guinea pigs, rabbits, and birds. Do you know how many come back to us? Probably 1/2 of all the animals that go to a home where the child is supposed to be the primary caregiver come back. I've had to treat malnutrition, burns, cuts, scrapes, fleas, a broken wing, and mange. I don't trust a minor with a pet if their parents aren't willing to take FULL responsibility. They won't sell animals if I am not there because I am too brutally honest with the parents. I don't talk anyone into getting a pet. I try to talk them out of it. I agree with this Gretchen! I think it is good that you are giving info to both the parent and the minor, because some minors will be better primary caregivers than parents but it's recognizing the parents role as the responsible party in the situation, as they are usually the ones with the money, means for transportation, etc. Ashley, sadly all the contracts you have had the parents sign are not valid because YOU are part of that contract and in the US, no minor can be held to a contract. If you ever had to legally enforce one of your contracts, you would find you'd loose. It's sad but true. I did help a 10 yr old get her first gliders. BUT, her mom and adult sister both had gliders and both agreed to take ultimate responsibility for the gliders if need be. She had been helping take care of her mom's gliders for almost 2 years.